IAAO/AA is a point of contact for dispersing information regarding NIST's education programs, although not all of these are directly administered by IAAO. Please contact STEMEd@nist.gov for more information. The NIST Postdoctoral Research Associateship Program supports a nationwide competive postdoctoral program adminstered by the National Academies/National Research Council (NRC). The NRC, through its Research Associateships Program office, conducts national competitions on NIST's behalf to recommend outstanding scientists and engineers at the postdoctoral level for a two-year excepted term appointments at NIST. 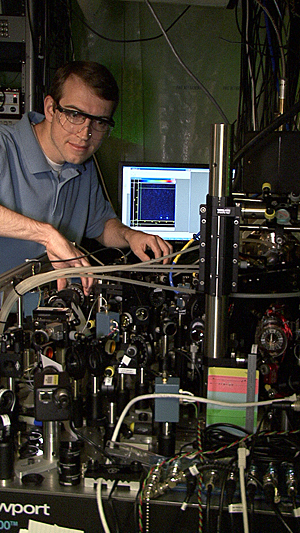 The NIST GMSE fellowship program provides doctoral-level graduate students with opportunities and financial assistance to obtain laboratory experience within the NIST laboratories in the Science, technology, engineering and mathematics (STEM) disciplines related to NIST mission-research. The program is administered through the National Physical Science Consortium (NPSC). The NIST SURF program is an 11-week fellowship program that provides undergraduate students the opportunity for hands-on experience in the science and engineering research areas at NIST. It is open to undergraduate students interested in pursuing graduate degrees in physics, materials science, engineering, computer science, chemistry, applied mathematics or related areas. 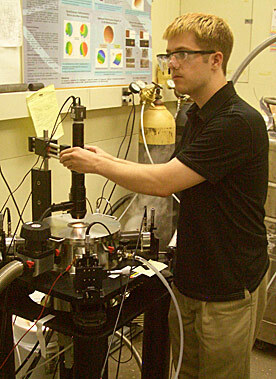 The program offers fellowships in all of NIST's Laboratories, and at both the main Gaithersburg campus and the Boulder campus. PREP provides valuable laboratory experience and financial assistance to undergraduate, graduate, and post-graduate students. Fellowships are awarded to assure continued growth and progress of science and engineering in the U.S. The NIST Summer Institute for Middle School Science Teachers is a combination of hands-on activities, lectures, tours, and visits with scientists in their laboratories. Designed to coordinate with the middle school curriculum, the teachers are provided with resources and instructional tools for teaching science, with an emphasis on measurement science and engineering research done at NIST. Led entirely by NIST scientists, the Summer Institute translates the cutting-edge research done in the laboratory to activities designed to be carried out in the classroom. Networking among the scientist and teachers provides long-term resources through the on-going relationships for the teachers and their students. 4-H Adventure in Science, Inc. This hands-on science program for children ages eleven through fifteen years consists of classes in physics, chemistry, computers, biology, astronomy, and other disciplines taught by scientists and engineers. Classes meet for two hours on Saturday mornings from October through March at NIST, Lockheed-Martin Corporation, Urbana Middle School, and the National Institutes of Health. Visit the AIS website for registration and contact details. This one-day annual activity, sponsored by IAAO and CRDO, is open to children of NIST employees (ages nine through fourteen). Science demonstrations, and hands-on experiments are included in the day's activities. The event date coincides with that of the national organization, the fourth Thursday in April.